If you asked any one of our curlers, they’d tell you we are proud of our curling facility. It’s home. We have history and a future. We are a part of our community and we are Fort Frances proud. Not only are we a center for life long curling, but we are a venue for community events that include weddings, socials, trade shows and more. Proudly we are one of the greenest clubs in Canada with the installation of our Geo-Thermal heating and cooling system and our commitment to reducing our carbon footprint. Our system runs our ice plant, heats our facility in the winter and cools it in the summer. Above all we are most proud of the curlers who make our club what it is: our members, our volunteers, our board, and our staff. 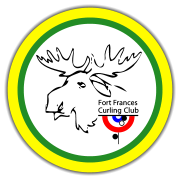 Objective: The objective of the Club shall be to promote the game of curling in the community, in the province, and to promote fraternal good will with the other curling clubs. Memorial Fund – donations graciously accepted in memory of a loved one who has passed. Dependent on donation, an acknowledgement will go up on one of 2 boards at the Club. 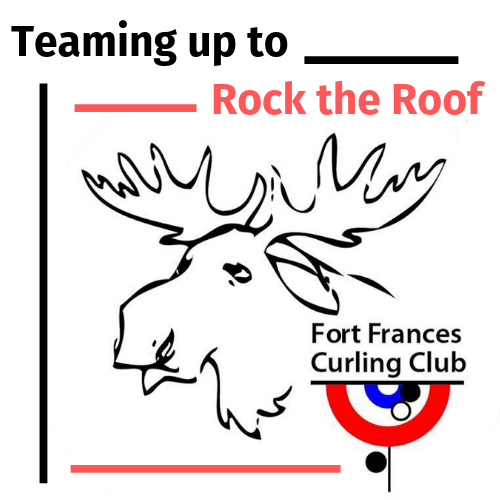 Teaming Up to Rock the Roof – in support of our fundraising drive to raise funds to make much needed repairs to our roof, a donation can be made by credit card at Sport4Ontario.ca. A tax receipt will be issued immediately and sent by email.